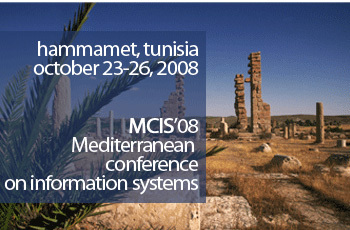 The Mediterranean Conference on Information Systems (MCIS-2008) focuses on the distinctive characteristics and goals of Mediterranean countries concerning the applications of information technologies and information systems. A key objective of this conference is to develop a network of IS researchers interested in topics associated with the Mediterranean region. 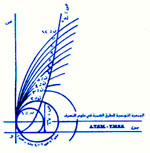 The 2008 Mediterranean Conference on Information Systems will take place from October 23 to 26 in the beautiful and unique setting of Hammamet, Tunisia. Global Software Development and National Differences.